GrapeNet was initiated in 2006-07 as a first of its initiative in India in the Indian Fresh produce sector. To put an end-to-end system.For monitoring pesticide residue, achieve product standardization and facilitate tracing back from retail shelves to the farm of the Indian grower, through the various stages of sampling, testing, certification and packing. Following stakeholders have been granted access to use the GrapeNet System: APEDA registered Exporters/Pack houses/Laboratories, State Horticulture Department, Agmark Department, Phyto-Sanitary Department, and National Referral Laboratory. 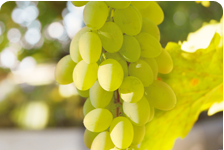 System is opened for registration of Grape farms by State Horticulture department, every year during October. 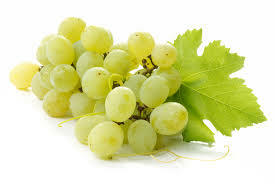 Once the grape farms are registered and tested for exports to EU, the exporters can initiate their process of sourcing, packing and issuance of Agmark and Phyto-Sanitary certificate by Agmark and Phyto-Sanitary department respectively. Importers can also register with GrapeNet to access reports on the consignments exported to them. 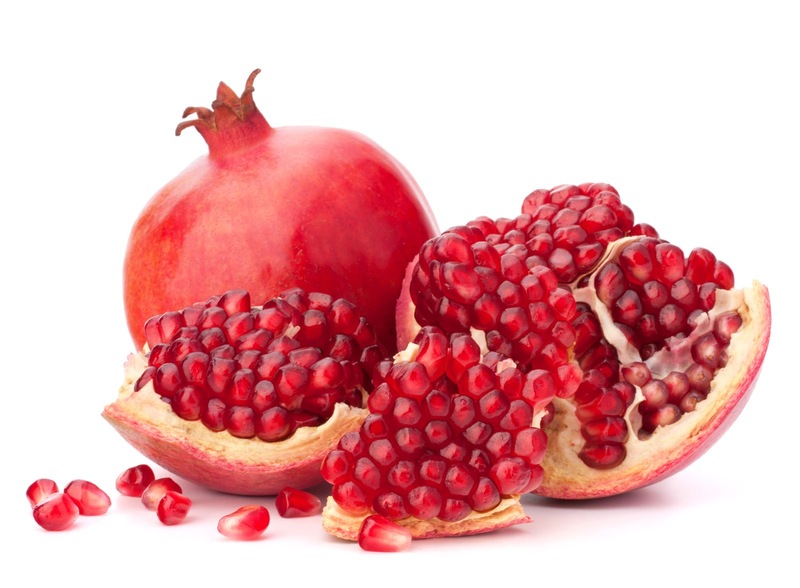 The pomegranate, is a fruit-bearing deciduous shrub or small tree growing between 5–8 meters (16–26 ft) tall. 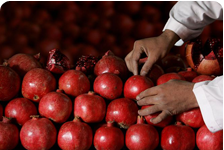 Exporters can be only export if they have sourced it from registered orchard. Registration of the farmers can be carried out by State Govt Agency. After the Registration, inspection will be carried out prior to which Farm will be recommended for sampling (Annex 4B). After the recommendation is given by State Govt Agency, laboratory will collect samples from the farm and does the residue analysis and issues the Test Report for the farm. Once the test report is generated, Exporter will create a "lot" under an APEDA approved pack house and enters the details about the product procured from the farmer. Once the lot is created, the Exporter can enter packing details of each lot prior to which consignment can be created under an APEDA approved pack house. Consignment can be forwarded to the Laboratory for Agmark Certification as an application. Once Agmark certificate is generated, bar code can be generated and printed.After the Bar code generation exporter will apply for Phytosanitary Certification. The exporter at any point of time, would know the status of various lots, whether Test report is uploaded or whether the Health Certificate has been issued through the HortiNet-Okra system. The PSC Authority is responsible for issuing PSC. After receiving the PSC, the consignment can be exported. 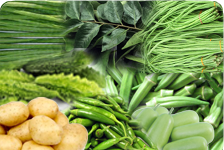 Exporters can be only export if they have sourced the vegetable from registered farmers. Registration of the farmers can be carried out by Pack house or State horticulture Dept. After that the Exporter creates a "lot" under an APEDA approved pack house and enters the details about the product procured from the farmer or suppliers. Once the lot is created, the Exporter enters the packing details of each lot in the system and forwards the lot for testing to APEDA accredited laboratory. The laboratory collects samples on the lots forwarded by the Exporter in the system and does the residue analysis and issues the Test Report to the Exporter. The Exporter creates a consignment from multiple lots and forwards an application for Agmark Certification to the Laboratory, if applicable. Once Agmark certificate is generated consignment can then be forwarded for Health Certificate. The Health Certificate is then issued by the Laboratory on the forwarded application. After the Health Certificate is issued exporter will apply for Phytosanitary Certification. Annexure 9, list of agrochemicals for monitoring export of Grapes 2018-19 Dated: 24/09/2018. Procedure for Export of Grapes Season 2018-19.